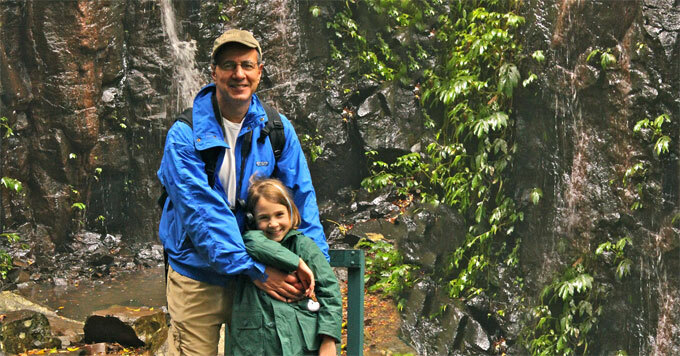 His daughter contracted Lyme disease from ticks, which may be spreading because of climate change. Dominick DellaSala and his daughter. Photo courtesy of Dominick DellaSala. Dominick DellaSala has studied climate science for more than a decade as chief scientist for the nonprofit GEOS Institute in Ashland, Oregon. But seven years ago, climate change got personal. The threat of Lyme disease is greatest on the East Coast. But DellaSala says the disease is spreading as host populations of deer and mice grow, and the changing climate allows ticks to thrive in new areas. After she was infected, his daughter suffered years of health problems like stomach and joint pain. She has now fully recovered, but her experience motivated DellaSala to share his family’s story. He hopes to help people understand that global warming is real and has serious consequences.